While our closets have plenty in the way of dresses, fripperies, and flounces, our daily outfit MO skews pretty unisex. We’ve “stolen” so much and so often from the boys that we consider oversized sweaters, work boots, varsity jackets, and baggy jeans moreour thing than theirs. 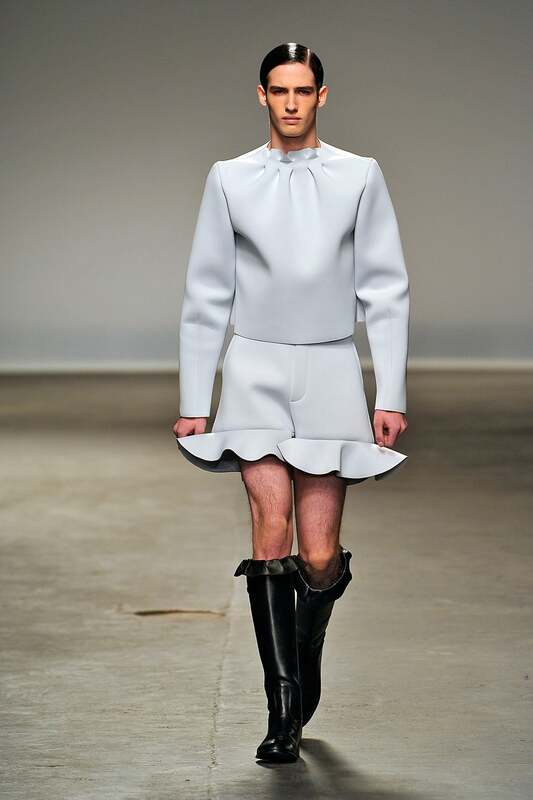 And, judging from the looks at Men’s Fashion Week, it seems that they’ve grown wise to the game and are borrowing heavily from womenswear trends. But, boys, don’t forget who’s the master of the game. Watch yourselves, because we will steal the (tunic-style oxford) shirt off your back — it’s too awesome not to! 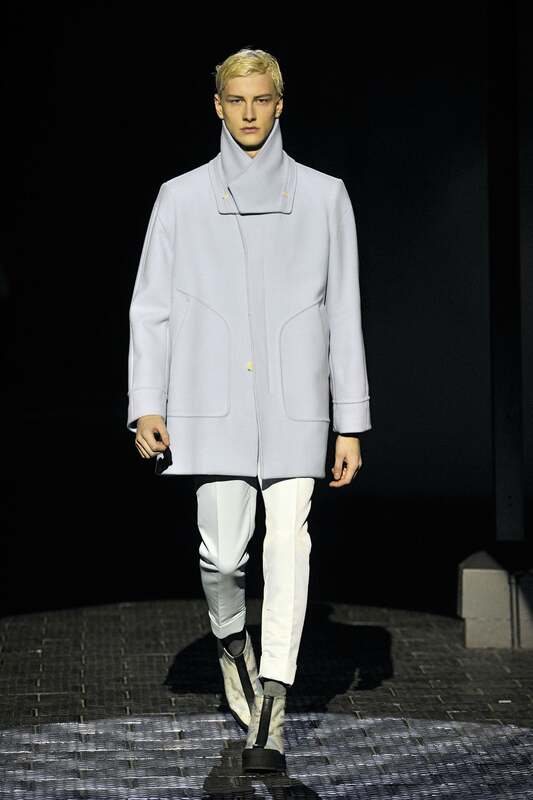 Check out the 10 looks from Men’s Fashion Week we’d rather see on our own racks. 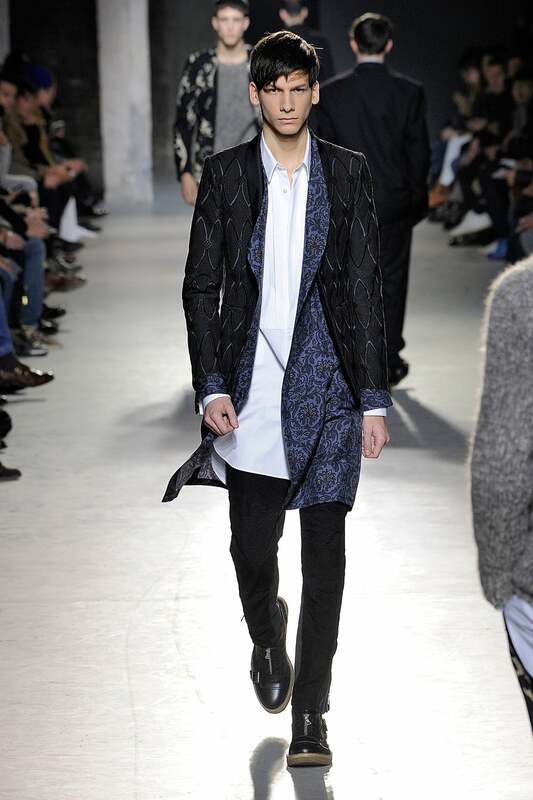 Ann Demeulemeester — A geometrically patterned woven jacket like this has been on our wish list for eons. Wearing it with wool palazzo pants is a Annie-Hall-meets-Shaft look that’s just genius. Kenzo — Cool monochrome done to sculptural perfection. 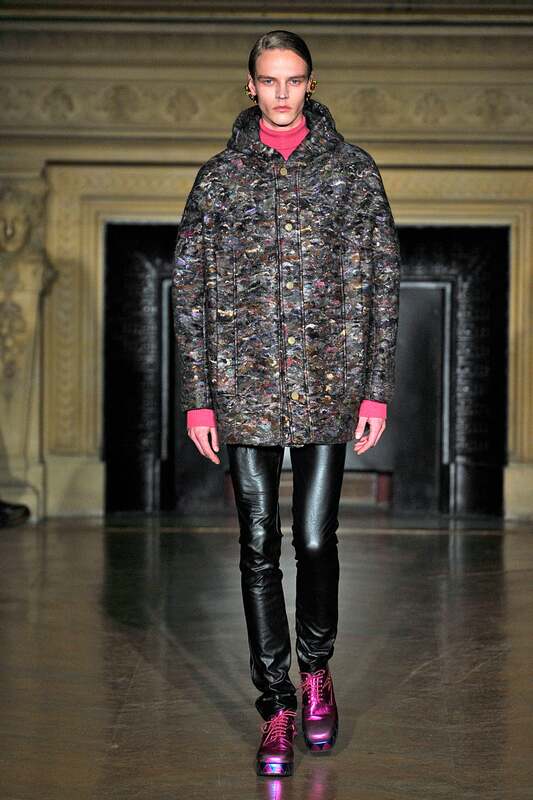 Walter Van Beirendonck — From the metallic shoes to the coat to the leather pants to the jeweled earcuffs, this look is all we ever want to wear, ever. 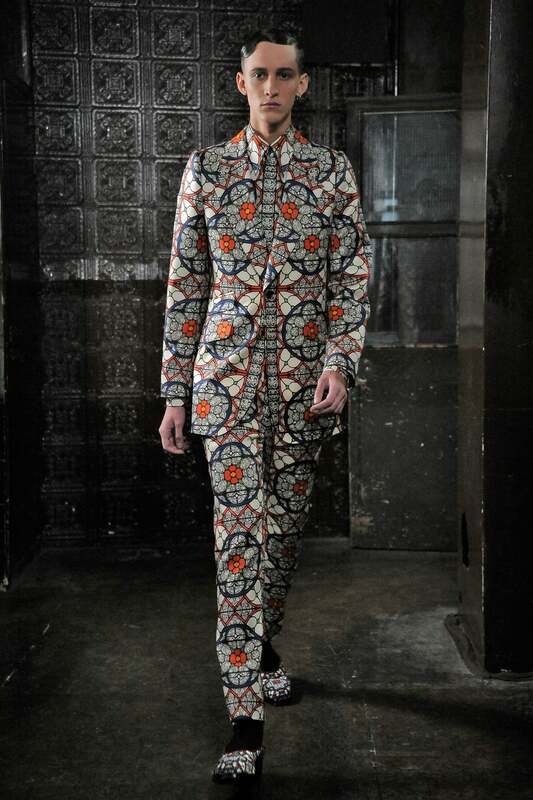 Alexander McQueen — The pattern-on-pattern trend is still going strong in our books, and we love how structured this menswear look is compared to its lady counterparts. 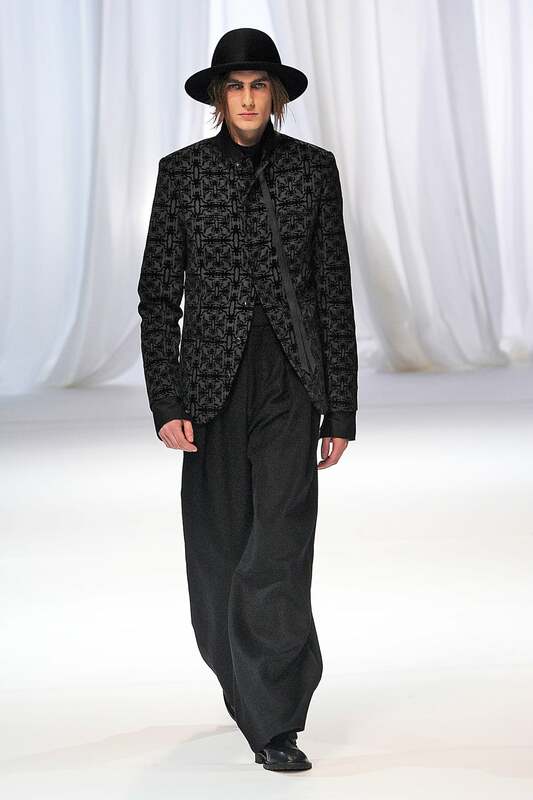 Dries Van Noten — Long-length smoking jackets and oxford shirts provide an easy and elegant way to do the dress-over-pants thing without looking cheesy. J.W. Anderson — Ruffled shorts. Need. Them. Now! 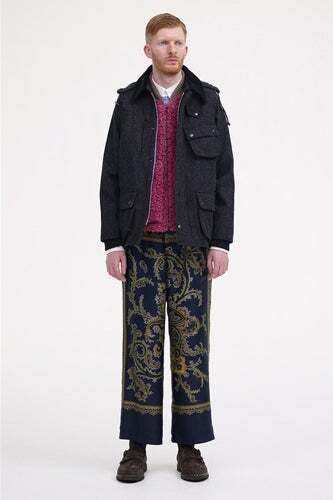 Sacai — Though we might wear ours with a pair of high heels, this layered look is how we like to wear our scarf-print pants. 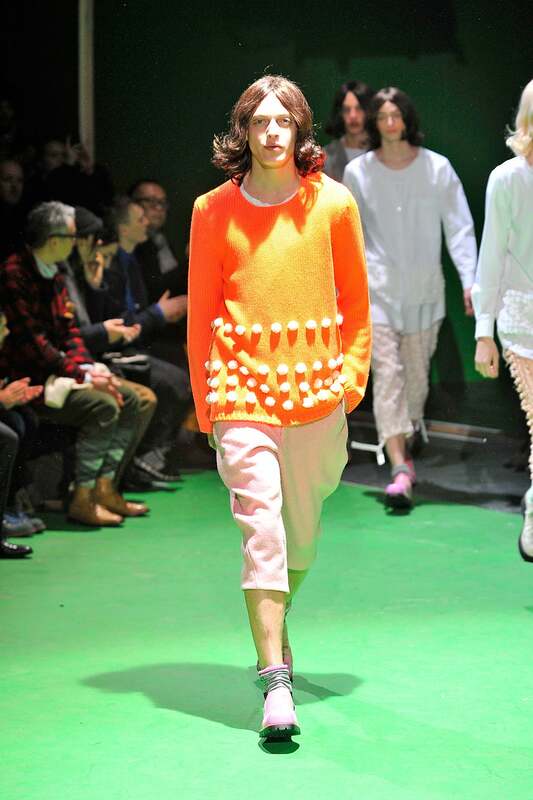 Comme des Garçons — We never thought a sweater could inspired such feelings from us before. The calf-length trousers are also a silhouette we’d love to bring back this spring. 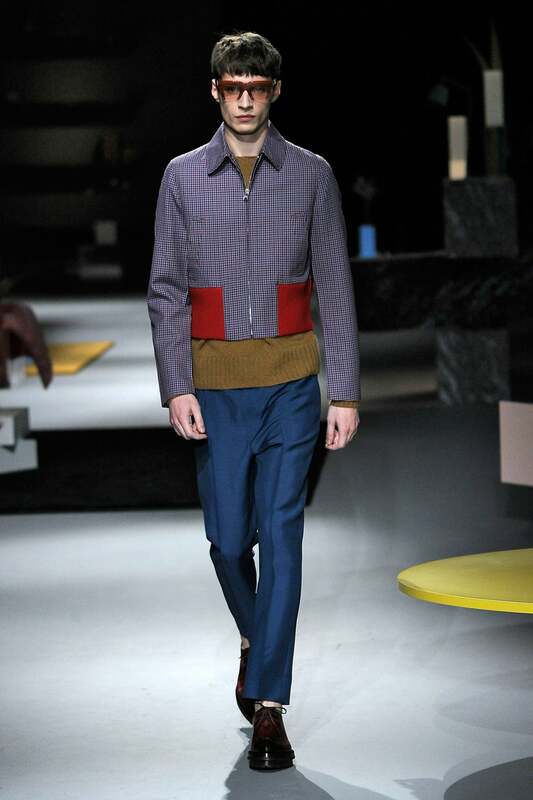 Prada — …And we thought colorblocking was on its way out! A shrunken, zipped jacket like this is delightfully ’90s (as our those graduated sunglasses!). 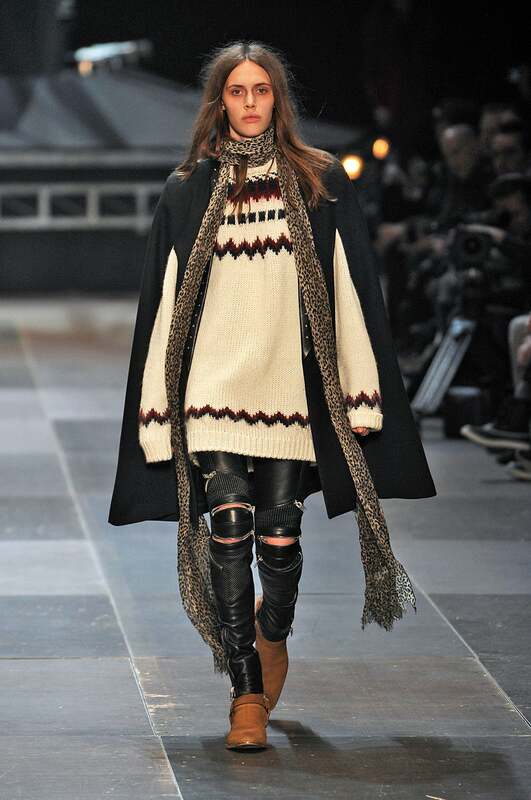 Saint Laurent — The neo-boho vibe behind this caped, zipped, draped look is both familiar and fresh.